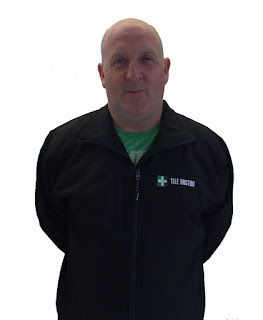 Introducing Dave Worth from Bude who is the new face of Tile Doctor covering the county of Cornwall including famous locations such as Bodmin, Falmouth, Launceston, Newquay, Padstow, Penzance, Plymouth, Port Isaac, St. Austell, St. Ives, Tintagel and Truro. He covers all types of tiled flooring in any location from Bars, Hotels, Industrial Units, Letting Agents, Nightclubs, Offices through to Residential Property, Restaurants and Schools. Tiled surfaces include Ceramic, Limestone, Marble, Porcelain, Quarry, Sandstone, Slate, Terracotta, Terrazzo, Travertine and Victorian tile and as well as Tile, Stone and Grout cleaning and sealing he is also able to help with refreshing bathrooms and kitchens, repairing cracked tiles, drive & patio cleaning, fireplace cleaning, flood restorations, grout colouring and stone Polishing. So if you live in Cornwall and need help cleaning or restoring tile, stone or grout then get Dave to pay you a visit by contacting him via cornwall@TileDoctor.biz.